International observers of Somaliland’s presidential election which took place on 13 November 2017 confirm a largely peaceful election process. The 60 members of the mission had observed the opening, voting and closing processes of the election in hundreds of polling stations across Somaliland and had only few concerns in relation to the overall processes. The mission calls this a “progressive step” and will publish a report on their observations in the first half of 2018. Following Somaliland’s third presidential election on 13 November 2017, the 60-member mission, funded by Britain’s government and drawing on members from 27 countries is now finalising its interim report to Somaliland’s National Electoral Commission as observers return to Hargeisa. 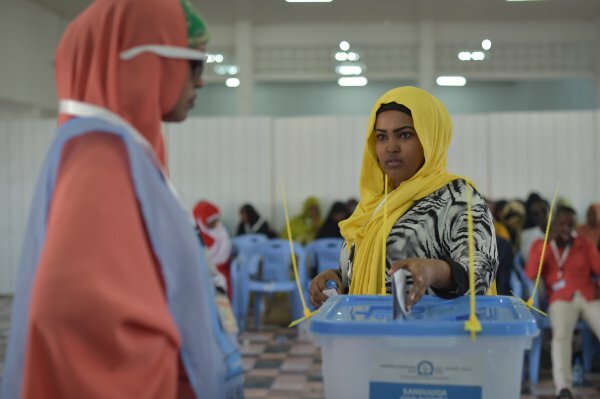 On polling day, observers witnessed opening, voting and closing processes in approximately 350 polling stations across Somaliland’s six regions, as well as the tallying process. Observers noted that polls largely opened and closed on time, in a generally calm environment, with peaceful voting, and no major violence or intimidation observed. Eligible voters were mostly able to cast their votes without hindrance. Domestic observers and party agents were present and able to perform their duties without restrictions in most polling stations visited, although we note that there were occasions when observers were denied entry or asked to leave. We are also aware of a number of other issues, including allegations of underage voting; the fact that the secrecy of the vote was systemically compromised for voters requiring assistance; inconsistencies in adherence to procedures (including in counting disputed votes); and the presence and occasional interference of security personnel in some stations visited, although observers did not witness widespread intimidation. Limitations to voter education may have had implications as voters appeared unsure as to how to vote, and the mission noted reports of some challenges that, for example, led to the cancellation of voting in Badhan town in Somaliland’s east. Overall the mission assessed the competence and actions of staff as generally good, and we applaud Somaliland for an election that was largely peaceful and well-organised. The mission will publish its final report in the first half of 2018.